Hailing from Staten Island, Paul Schalda’s music seems to embody the unexpected overlap of The Band’s Americana, Ian MacKaye’s unhinged emotion, and the doo-wop melodies his father, Bill Schalda Sr. (a member of Brooklyn vocal group, The Montereys), raised him on. 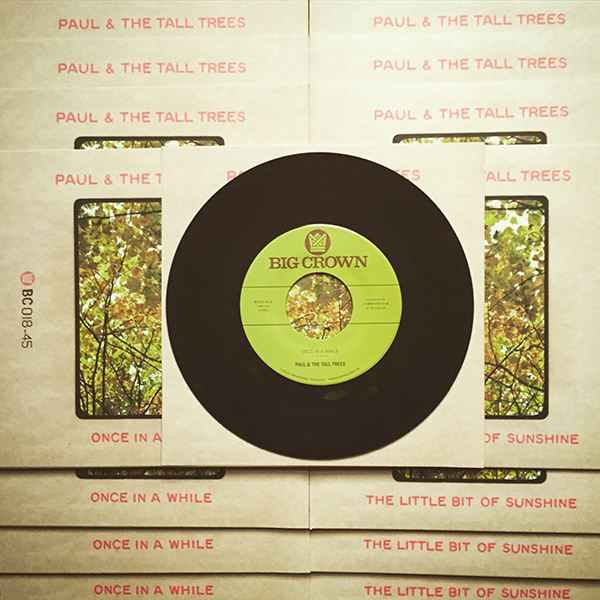 The first single from his forthcoming full length, produced by Tommy Brenneck, “Once In A While” is a testament to Paul’s sincere and raw emotional song writing. Running the gamut of the forever changing conviction of a man in love, Paul goes from never again to maybe pleading for mercy on his soul. Musically going from a mellow strut to a frantic crescendo carrying the lyrics along for the ups and downs of addiction. The B Side “The Little Bit Of Sunshine” is the soul tearing admission of defeat and the long road to surrender. Easily interpreted as a story about a dysfunctional relationship with a unkind, inconsiderate woman, yet truly a story about Paul’s giving up on a career in music.